In exciting news for Australian authors and self-publishers, IngramSpark is set to officially launch ipage® in Australia early next year. 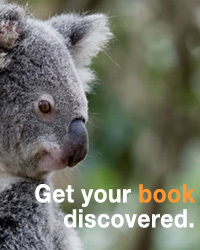 ipage is an online platform that allows retailers and libraries to search and order books from Ingram’s catalogue feed. According to Ingram, a large number of Australian and New Zealand retailers currently order from ipage which, at this stage, directs retailers to the US catalogue. ‘We really encourage small publishers and indie authors to engage with their local booksellers wherever possible, and ipage Australia just makes the supply chain that much easier,’ said Ingram sales manager Deborah Lee. Lee also highlighted Ingram’s print facility in Australia which allows book to be printed locally, saving time and money for publishers and local retailers. ‘The ability to print one book at a time for delivery anywhere in the world within days, really is a game changer,’ said Lee. With the advent of IngramSpark in Australia and New Zealand, indie authors and small publishers have developed innovative ways of managing stock, reviving backlist, and selling new titles to an ever-expanding market. When global pricing is included in the title information, Ingram makes the title available for sale to thousands of channel partners, including online retailers, physical booksellers, library suppliers, wholesalers, and educational institutions globally. An official announcement is expected in early 2018, when ipage is ready and available for Australia. IngramSpark is an award-winning independent publishing platform, recently recognised for its distinguished service to the literary community. They provide the same quality and distribution enjoyed by traditional publishers to the indie publishing community. For more information visit IngramSpark today or contact your local customer support representative at ingramsparkaustralia@ingramcontent.com.